The Download on Podcasts is a weekly feature sponsored by PodcastOne. At the server level, streaming and downloading can be mixed together with progressive downloads that are heard while they are being stored locally. But Edison’s survey question goes to user behavior and intent. For a content category whose legacy consumption model is click-to-download for later listening, the supremacy in 2016 (Jan/Feb survey results) supremacy of click-to-stream is remarkable. Steve Goldstein, CEO of Amplifi Media, calls it “a game changer.” The shift seems to validate podcasting’s identifier as “on-demand audio.” Streaming, where content begins playing on the click, is more on demand that downloading for later listening, which might better be termed on request. 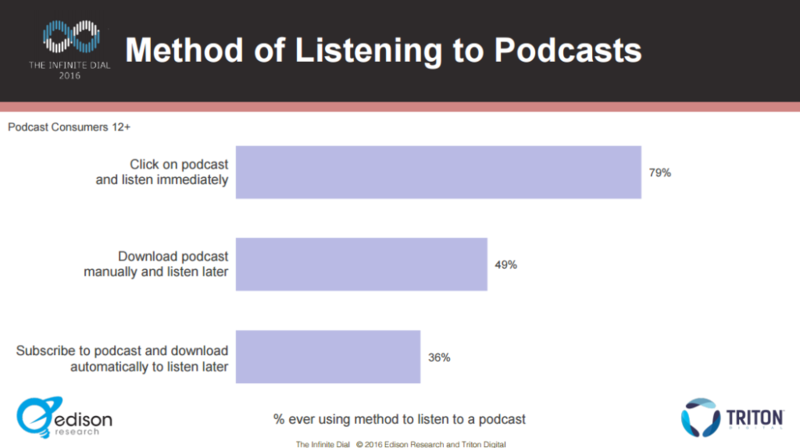 In this regard, users might be more progressive than the stewards of podcasting. For example, consumption metrics are usually geared to downloads as the core metric. If 59% of American listeners stream “most often,” it seems like streaming should be the vernacular of podcast metrics and ratings. 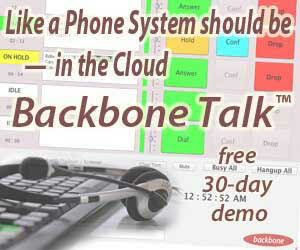 But there are technical issues. 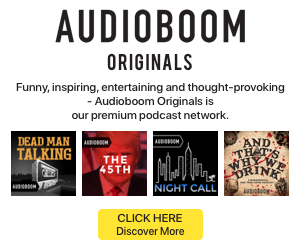 Podcast measurement company Podtrac, which has been in this business for over a decade, recently released a ranker of top podcast shows and networks. The key metric is Unique Downloads per month. 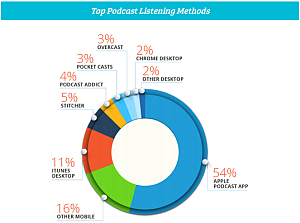 In describing its methodology, Podtrac calls Unique Downloads the “industry standard metric for podcasts.” If that is a problem, as users migrate to streaming, it might be a necessary one: “Measuring podcast plays is not possible for the vast majority of podcast listeners and listening environments,” Podtrac declares. There’s a practical difference between downloading and streaming which affects the advertising ecosystem of podcasting. Streaming, which can be considered a “live” performance of a show, might contain injected advertisements that change over time. So, a listener who downloads an episode one day, but doesn’t listen until four weeks later, hears marketing messages that are baked into the download and might have lost their timeliness. Other apps? Not so friendly to streaming in some cases, as this column has grumped about in the past. Pocket Casts, one of the most popular Android podcatchers, makes you “subscribe” to a podcast before you can even see the episode feed — that is truly old school, and is the “most used” consumption method for a slim 15% of listeners, according to Edison. Several screen touches later you can stream the episode if you find that option in a hidden menu. Downloading is the default. Times have changed. Edison’s new report documents irrefutably that consumers have flipped. 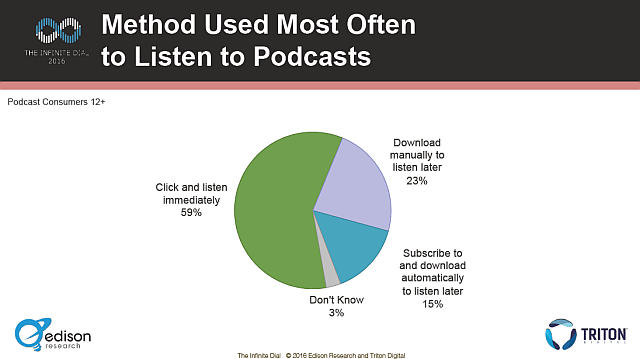 Podcasting started as a download medium that could not easily be streamed. Now it’s a streaming medium, with optional downloads. Steve Goldstein is correct, this is a game changer.